Her mum is 35, the daughter ’90′. What is hidden here shocked America. The Columbian teenager Magali Gonzalez Sierra is actually just like other girls: she likes dancing, music, the colour pink, and a large amount of make-up. But nevertheless, it requires just one glance at Magali to know that she is very different. 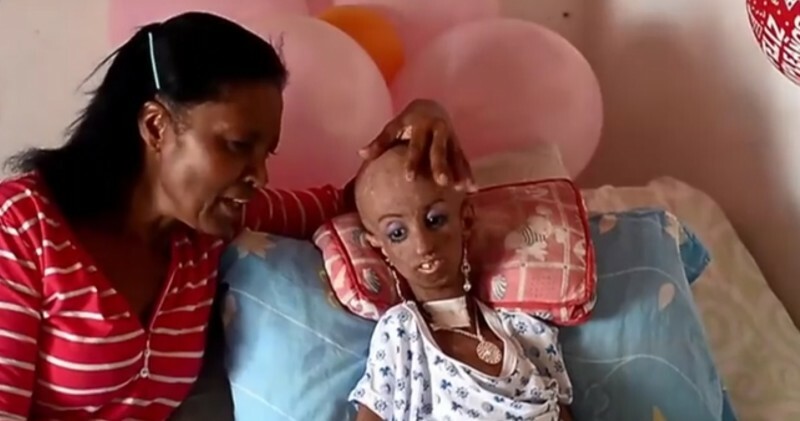 Magali is just 15 years old but she is stuck in the body of a 90 year old. She looks like an old woman - she is thin, her skin is wrinkled, and she sits in a wheelchair. 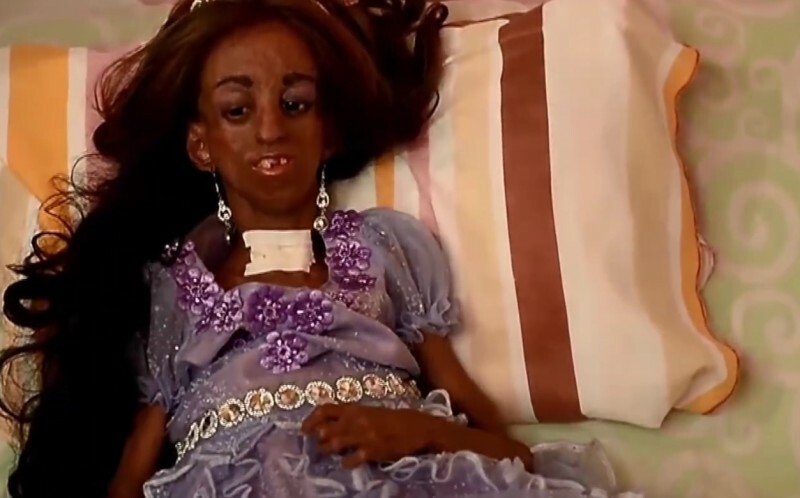 The reason why is that Magali suffers from a very rare disease: Hutchinson-Gilford Progeria. This is a genetic disease in which the protein A doesn't function properly. As infants with this disease, the children look completely normal, and no one would notice that they are unwell. However, once the child is between 18 and 24 months old, they quickly begin the ageing process. They don't grow any more, they continually lose more body fat, their joints stiffen, and they suffer from atherosclerosis, and can easily die from a heart attack or stroke. Even their hair falls out. Therefore, Magali has to wear a wig. 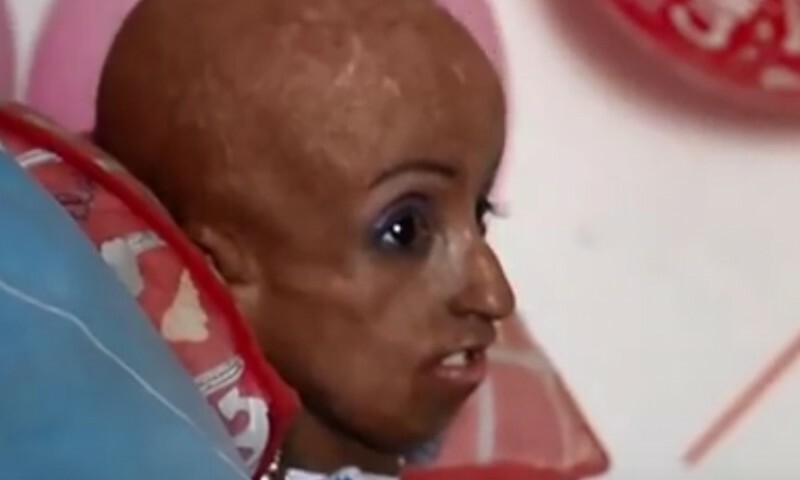 Most children, who suffer from progeria, die before their 13th birthday. Magali has beaten her doctor's prognosis. She is already 15 and extremely proud that the's managed this far already. This happens very rarely, worldwide. 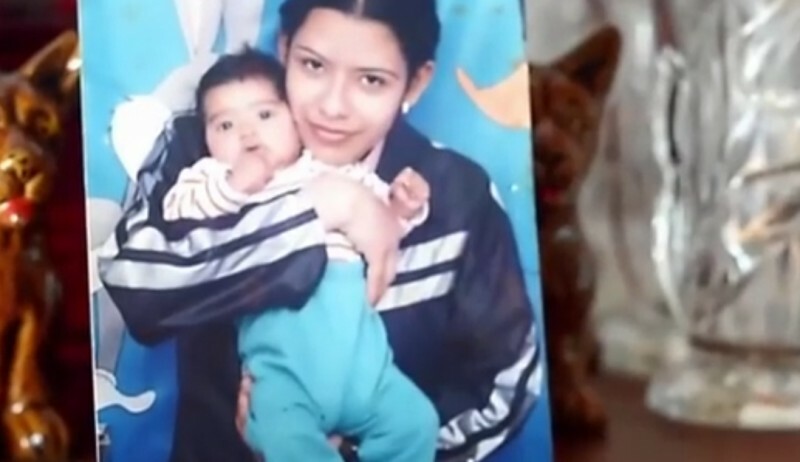 Her mother, Sofia, says: "Magali just wants to be 15 years old. She told me that she really wants to have a party. Even when she can't dance, she would like that others dance. She wants to have balloons and a huge celebration with lots of people." 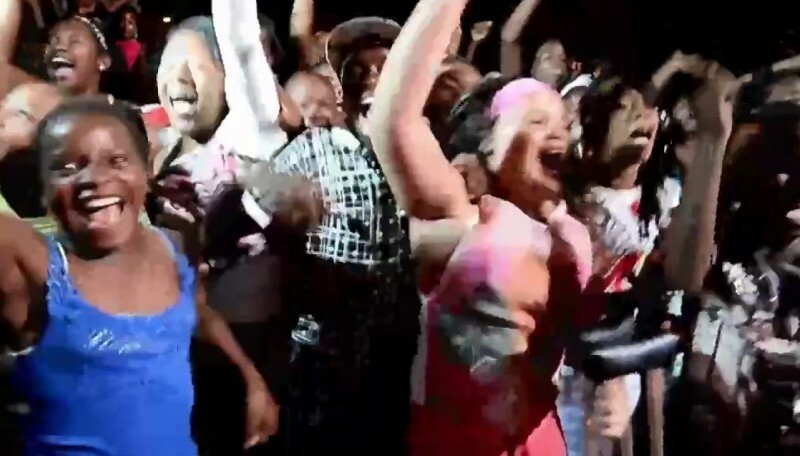 In her hometown the 15th birthday, the "Quinceañera", is something really special. It is the celebration of "becoming an adult", and is one of the most important life experiences for the girl. And this Quinceañera was truly fulfilling for Magali: she was styled, all her friends came and celebrated, and at the end her father took her in his arms and danced with her. It was the best party that the young girl could have ever wished for. Many of her friends came and did dance pieces for her. Her father, father and sister are of course, very proud of her. 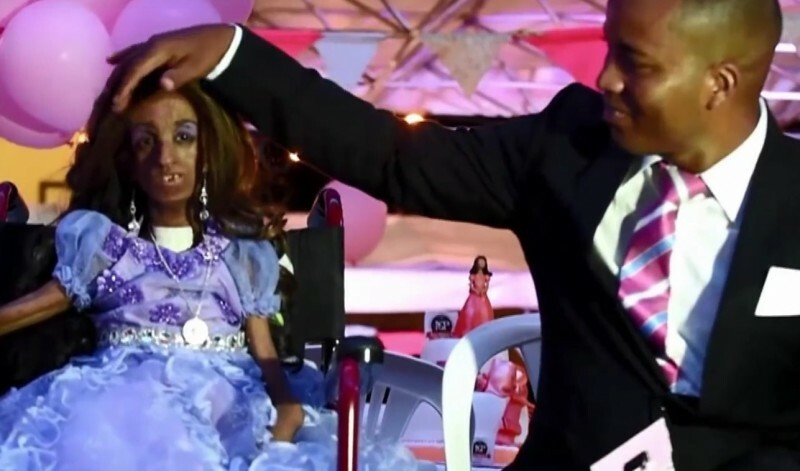 The party was exactly what she had wished for, and for a few hours she even forgot about her disease and was simply happy, like any other 15 year old girl. She really showed everyone that she doesn't let her illness get her down.